She is Suvarna Sundari.. She is Anarkali.. She is Sakkubai.. She is Sita Maayi.. Guess the actress par excellence? She is an Extra.. She is the vamp.. She is the dancer.. She is the Heroine.. She is the Producer..
She is the character artist…. Guess the performer, who ruled the Telugu silver screen, in every role she played? She is none other than Anjali Devi, the veteran actress, who is an epitome of Nata Saraswathi! She is the performer par excellence! She had a filmy career of more than 5 decades in various characters, starting from small roles to the Heroine to the Character Artist! Anjali Devi had carved her own niche on Indian Cinema, with her special style of acting, dance moves and beauty, which made her as the model to the next-generation actresses. The Queen of Entertainment of yesteryears, Anjali Devi, has passed away on 13th January, 2014 at Chennai in a hospital at the age of 86 years. Ragalahari pays its sincere tribute to the great actress, ANJALI DEVI! 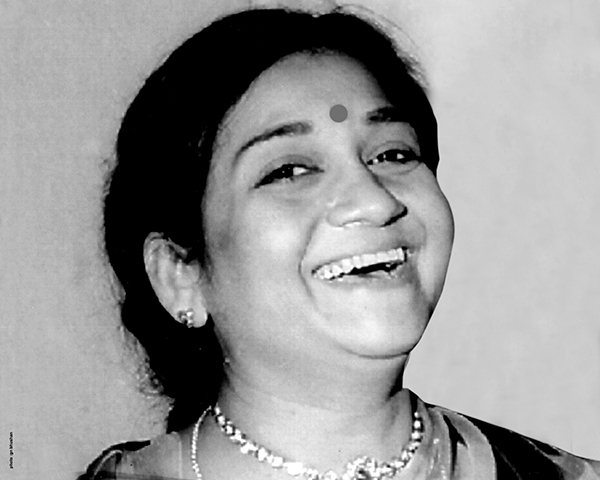 Anjali Devi, originally named as Anjanee Kumari, had a stint with entertainment sector at the age of 8. She had a great passion for stage and dramas and her father Nookaiah, had joined her in YOUNG MEN’S HAPPY CLUB at Kakinada. She debuted on the stage with a play, HARISHCHANDRA and got the attention of the film makers like C. PULLAIAH. He offered her a small role in GOLLABHAMA (1947) and transformed Anjanee Kumari to Anjali Devi! Prior to becoming a Heroine, Anjali Devi had undergone many upside downs. In her early career, she agreed to play the roles of a Vamp in the films like, SHIVA GANGA, MAYA RAMBHA, MADAALASA, BALARAJU, etc. At last, with the film, SRILAXMAMMA KATHA, she became a full-length heroine, with the encouragement of GHANTASALA BALARAMAYYA. The film was a flop, but Anjali Devi noticed by the film makers and they poured he r with offers. The decades, 1950s and 1960s, the Telugu Film world was totally captured with the aura and glory of Anjali Devi, when her films became super hits with the audience. 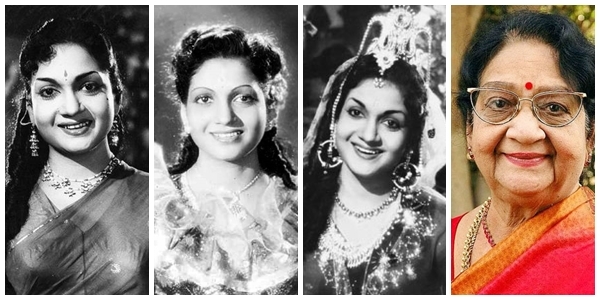 Anjali Devi’s reign as the Queen of Telugu Silver Screen had started with ANARKALI (1955) and reached its zenith with SUVARNA SUNDARI (1957). Her portrayal, acting abilities and expressions blended with dances have spell-bounded the viewers and made her as the highly-sought-after Heroine of those times! Her later super hits like, CHENCHU LAXMI (1958) and JAYABHERI (1959) had proved it again! In the sojourn of Anjali Devi, as an actress, the film LAVAKUSHA is a milestone, which had transformed the charisma and following of Anjali Devi, in toto, at an unimaginable extent. Earlier, she had mesmerized the public in various genres like folklore, social, historical period dramas, devotional etc. But her role as SITA in the mythological LAVAKUSHA, had made Anjali Devi as the SEETAMMA THALLI in the minds of the public. After the release and phenomenal success of the film, the people used to come to her to see and worship her with pooja,etc. Anjali Devi is the most favorite actress to be paired with the legendary heroes of Telugu Cinema, AKKINENI NAGESWARA RAO and NANDAMURI TARAKA RAMARAO in the golden era of Telugu films! She made the magic with the Heroes as their counterpart and perfect on-screen ‘jodi’. The greatest irony is that, in the later career of Anjali Devi, she acted as the mother to ANR and NTR in many movies. The contemporary actresses like BHANUMATHI had totally against to such roles at that time. But Anjali Devi is unique and got into the skin and played the roles alone. She is an ardent lover of performing arts and took up the characters of mother to the heroes, to whom ones, she had been paired up with as heroine! It is very interesting that, she has acted as the old mother alongside NTR in BADI PANTHULU, when she was young. She take that character as a challenge and played the role and made it as an everlasting character in the history of Tollywood! Anjali Devi not only confined herself to acting, but also extended her interest in film making and established her own production houses to make the films of her interest. She has started her first film production house, Ashwini Pictures with partners in 1949 and made films like MAYALA MAARI. In 1951, she started her own production company, ANJALI PICTURES. She had produced more than 27 films under this banner. Of the list includes the successful films like, PARADESHI, ANARKALI, SUVARNA SUNDARI, SATEE SUMATHI, BHAKTA TUKARAM, KSHETRAYYA, etc. When Anjali Devi is actively involved in the Stage dramas at Kakinada, she has got the opportunity to introduce with Adinarayanarao, then the budding musician. Later, Anjali and Adinarayanarao got married in 1940, well before her acting debut in the films. But she had realized all her wishes and took a plunge in cinema, with the support and encouragement of her husband. Both of them made a perfect couple and lived their life for the art of cinema and reached heights in their respective paths as an actress and music composer respectively, simultaneously. Here, it is mention-worthy that, unlike the rule of those times, Anjali Devi played heroine roles after becoming a mother of two children! In general, marriage and children will put a full-stop to the career of the heroine in getting the acceptance from the audience. But Anjali Devi had proved it wrong and ruled the show world with all the charm and craze! Credit goes to her acting prowess!! Anjali Devi is the first Telugu Heroine to won 4 Film Fare awards as Best Actress, and with a hat-trick! She had honoured with the prestigious RAGHUPATHI VENKAYYA AWARD for the year 2005, by the Govt. of AP. She is the producer of the first Telugu film, which was introduced SLOW MOTION PHOTOGRAPHY in certain scenes. That film is PARADESHI. She acted in more than 500 films in all languages. Of them, more than 350 films are in Telugu.